BRAHMS II OPEN DESIGN WITH PRIVATE GARAGE. 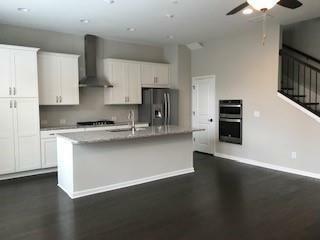 NEW CONDO AT ARIA--TWO STORY MODERN UNIT HAS HARDWOODS THROUGHOUT, KITCHEN INCLUDES WHITE CABINETS/GORGEOUS QUARTZ COUNTERTOPS/DESIGNER BACKSPLASH/LARGE ISLAND/SS OVEN/MICRO/FRIDGE & WALK-IN PANTRY. ALSO VENT TO EXTERIOR. 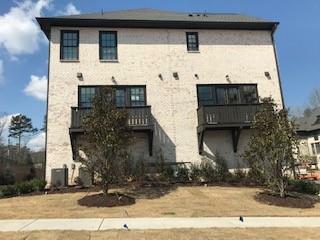 CORNER UNIT, GREAT ROOM IS OPEN TO KITCHEN AND HAS WALK-OUT BALCONY. NO ONE ABOVE OR BELOW. MASTER INCLUDES DOUBLE VANITY/WALK-IN CLOSET W/WASHER/DRYER. 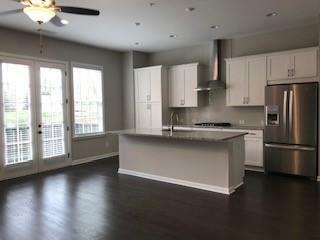 NO PETS/QUICK MOVE IN. MINUTES TO 400, NEXT TO MERCEDES BENZ HEADQUARTERS.